The wind in the willows is a classic home to many a bookshelf. It’s one of those books you hear as a child and hold forever, like the wizard of oz or the little princess. This book has always held a nostalgic place in my heart and while I don’t often return to books from my childhood, I couldn’t resist returning to it this fall. 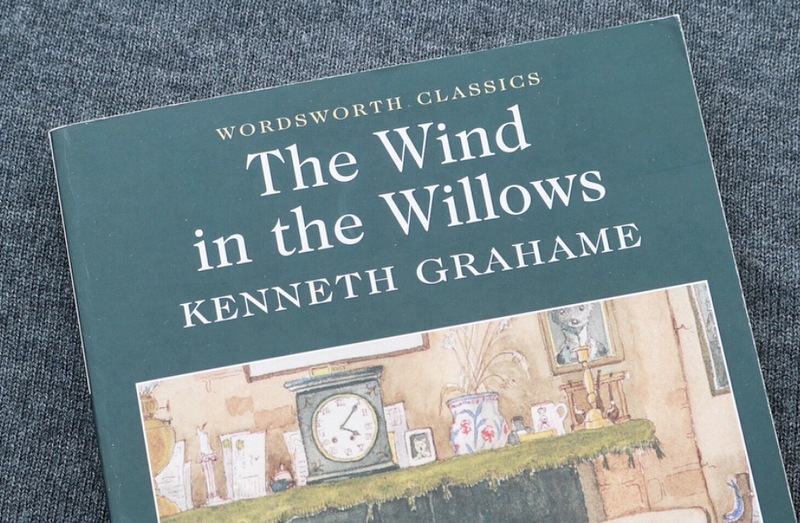 I find Kenneth Grahame’s descriptions of nature, the river and the wild wood so beautiful and mesmerising that I often become distracted by picturing the natural surroundings rather than paying attention to the story. Fall is often the time we all hibernate into the warmth of our homes, wrapping ourselves in cozy layers with warm brews; though after spending a summer stuck inside I wanted to get out in nature -so to speak. While my health hasn’t improved that much since summer, I decided rather than chance a flare and cold from the bitter cold, I’d instead turn to a book. A book bulging with references and descriptions of the life of outside nature and general wilderness. If you’ve been living under a rock and have never read the wind in the willows, I’ll give you the quick run down -and the Amazon link. The story of the wind in the willows follows the adventures of the water rat, mole, toad and badger. All equally interesting characters, we read of their adventures at the river, the wild wood and the troubles they (mostly toad) find themselves in. The main lessons are to always go through the wild wood in pairs, never joy ride a motor car and do not dress as a washerwoman –it’s not a good look. In all seriousness, I love this book and thoroughly enjoyed returning to it. If you like this story, its characters or even just psychology/counselling, you should also check out counselling for toads which involve toad, badger, the water rat, and mole -but mainly toad. I also loved that book and would recommend to anyone who loves the wind in the willows. To check out any of my other book reviews, click here.